Do you want to learn how to defend yourself and overtake larger attackers? Never be held down again! Joining the latest fitness craze usually leads to boredom & disappointment. By adding a real world purpose to your work- out routine, you will not only get in the best shape of your life; You will also find it much easier to stay consistent and reach your full potential. However, as adults we have all experienced the initial enthusiasm for new workout routines, only to find ourselves bored or uninspired before long. Since its arrival in the United States in the 1980s,Jiu Jitsu has experience an unprecedented popularity, with its practitioners creating a real culture of their own. Getting in shape and gaining confidence should not be a huge chore made up of boring gym workouts you dread daily. And most importantly, it is not something you have to face alone! 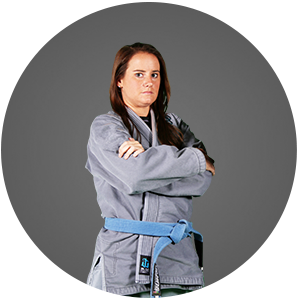 Let the Jiu Jitsu Program at Elite Martial Arts Academy help you reach your maximum physical and mental potential. Get in the Best Shape Of Your Life and Learn to Protect Yourself! Jiu-Jitsu is widely considered the most effective form of self-defense in the world, and has become hugely popular especially with the explosion of UFC. The primary goal of Jiu Jitsu is to control a resisting opponent in ways that force him into submission by grappling. Much of the technique of BJJ is centered around taking down an opponent on the ground and wrestling to control and render him harmless. With proper technique, a BJJ practitioner can overcome opponents of a much bigger size. No kicks, no punches … let’s roll! Because most if not all hand to hand attacks end up on the ground, today's Martial Artist needs to grapple WELL if they expect to win. That’s why we’ve developed our Submission Grappling and Brazilian Jiu Jitsu Program to really boost your ground game. It doesn’t matter if you’re doing it for competition, or self-defense. We’ll show you everything you need to succeed. Jiu Jitsu is a unique program that truly teaches Self Defense for the Real World. Based on simple principles and instinctive movements, this reality-based system is designed to teach real self defense in the shortest possible time. These are many of the same strategies that police officers use when in a threatening situation. But there is one more important detail to add to this: It’s crazy fun!!! a burglary takes place in the United States. take place in a home. an American is sexually assaulted. At Elite Martial Arts Academy, it is our mission to help you become a confident, focused individual with the life-transforming skills of Jiu-Jitsu. You’ll not only burn amazing calories while learning life-saving self-defense moves - you’ll also gain a mental clarity that you’ve never experienced before. Our program is the perfect mix of traditional martial arts and modern self-defense skills applicable in the real world. Our classes not only teach you how to protect yourself - they also instill the awareness skills necessary to avoid becoming a victim. Start Feeling More Confident, More Relaxed, Stronger, and In Control! 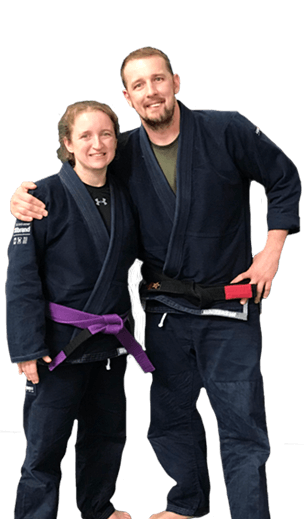 Begin Your Jiu-Jitsu Journey Today!